Considered one of the best nights out in the UK, Blackburn is famous for its buzzing nightlife and partying vibe. So how can you transform a night out in Blackburn into a truly special occasion? By booking an Opulence Executive Travel luxury limo hire service! Our luxury limo hire service is perfect for a hen or stag night, a night out on the town, a trip to the opera or any special occasion that you want to celebrate in style. Nothing could be more spectacular than riding through the bustling centre of Blackburn in the back of a luxury stretch limousine. Your designated driver has access to live traffic information and has in-depth knowledge of Blackburn and the surrounding areas, so all you need to do is sit back, relax and enjoy your journey. Imagine sipping on a glass of chilled champagne relaxing to the sounds of your favourite songs, then on arrival stepping out in true red carpet style. 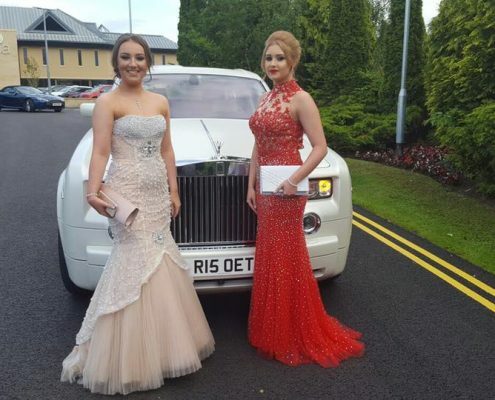 Make your dream a reality and book a Blackburn limo hire service with us today. For more information on our Blackburn limo hire service, get in touch with our friendly team.